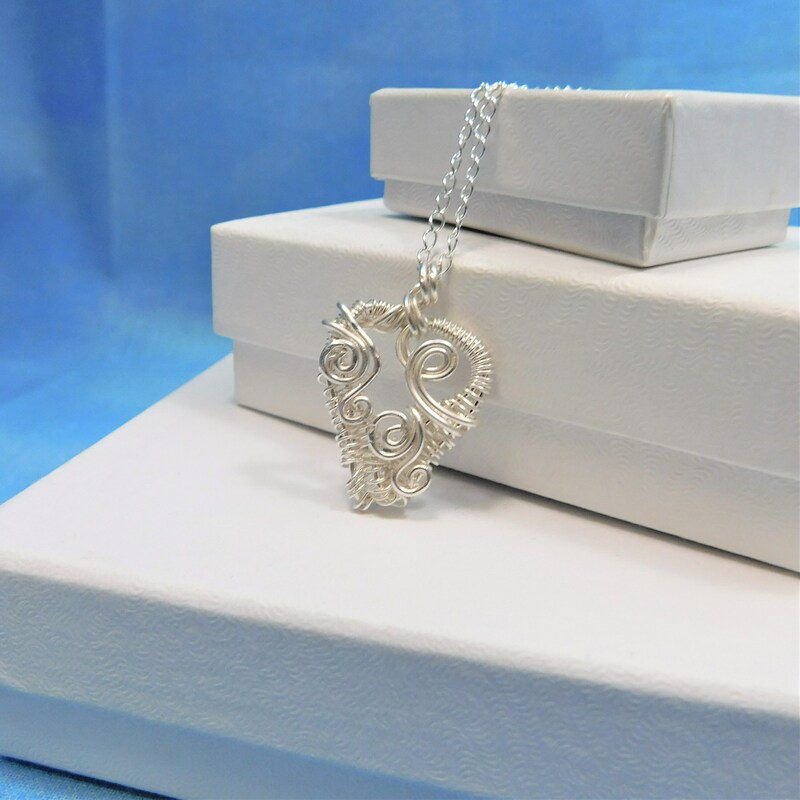 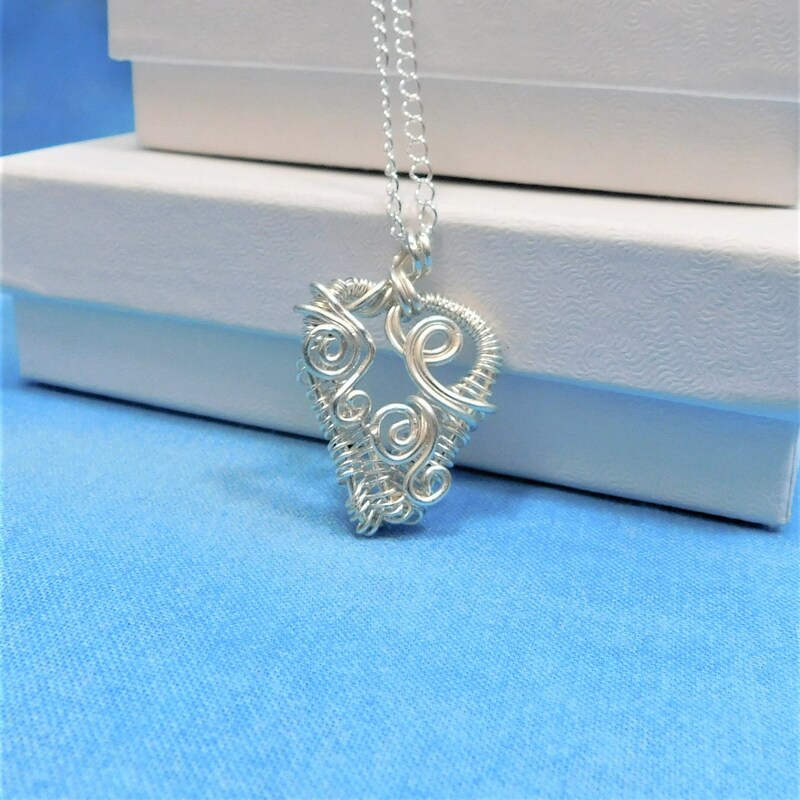 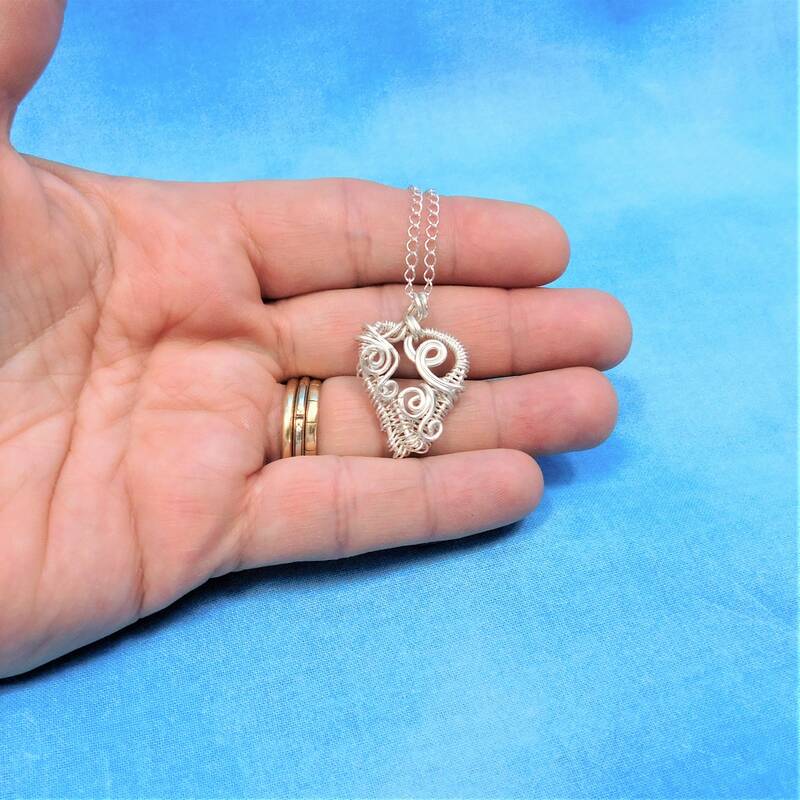 Sterling Silver Wire is meticulously hand woven and sculpted into a heart shape. 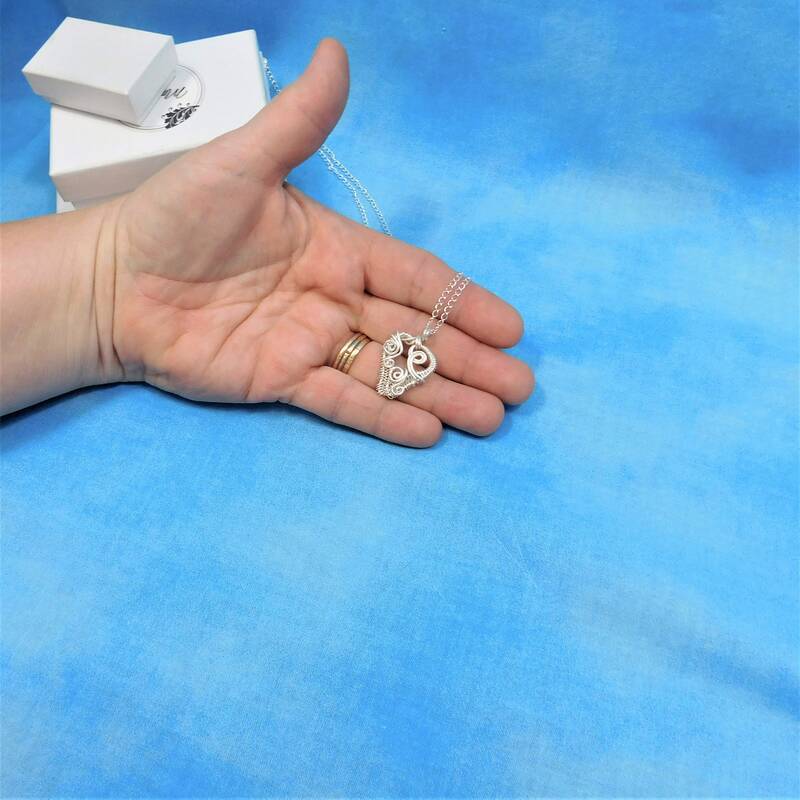 This small heart is simple but artistic. 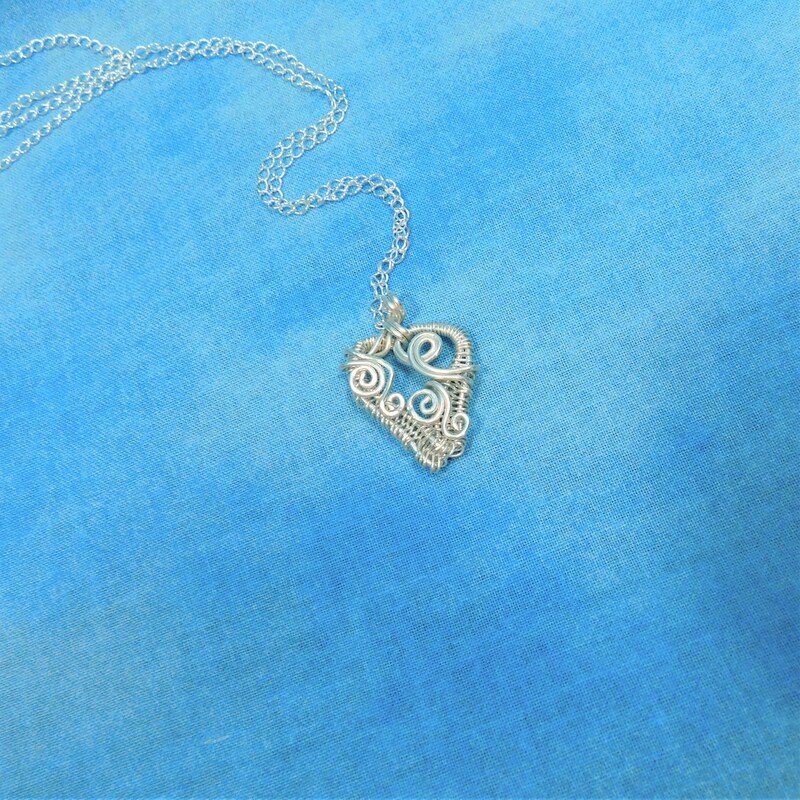 It adds a beautiful, interesting touch of class to casual or dressy styles. 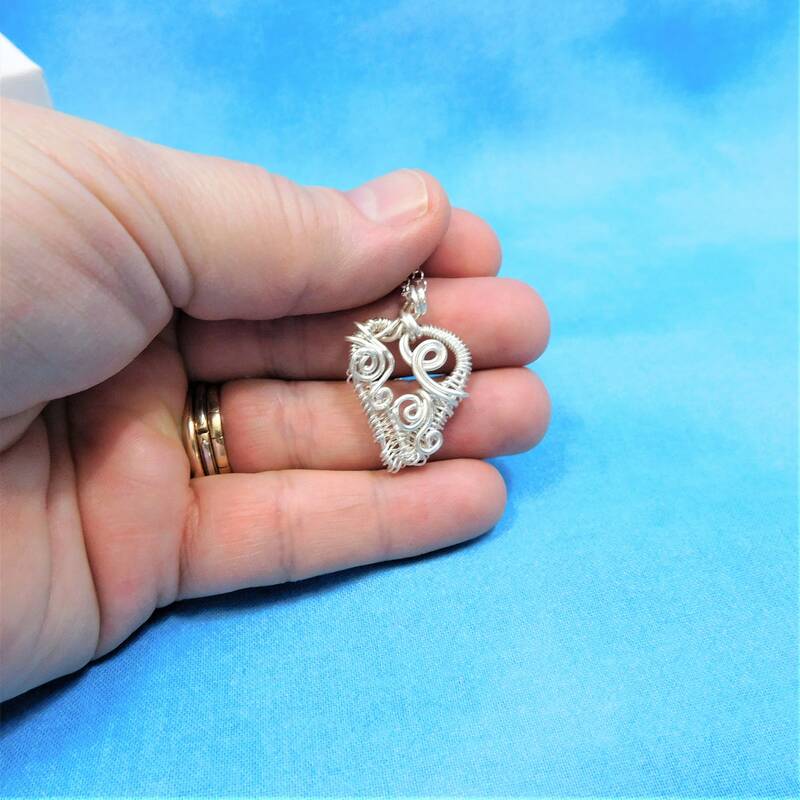 This is a very special pendant for a very special person. 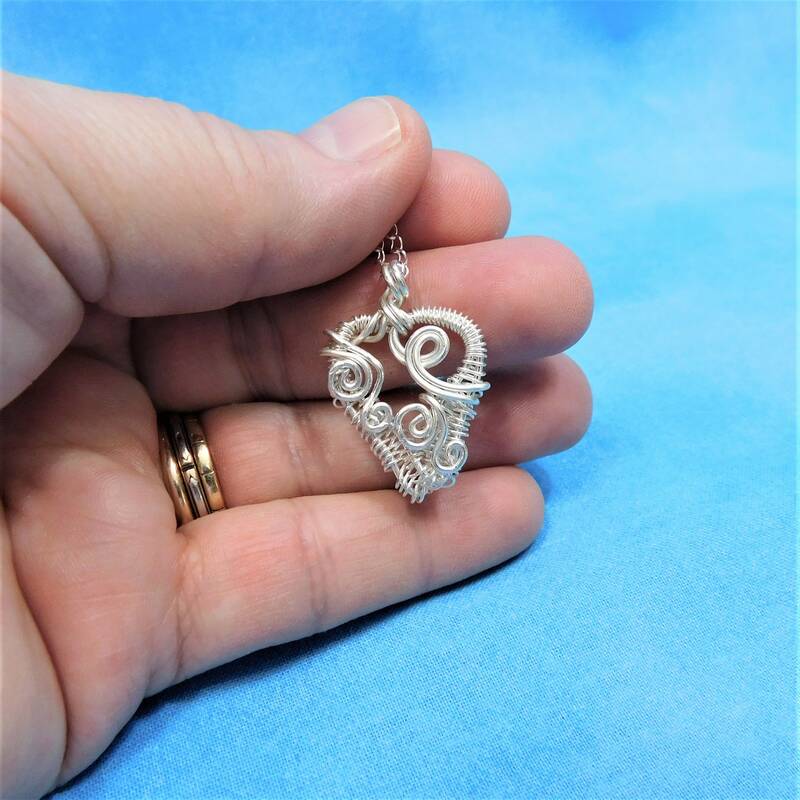 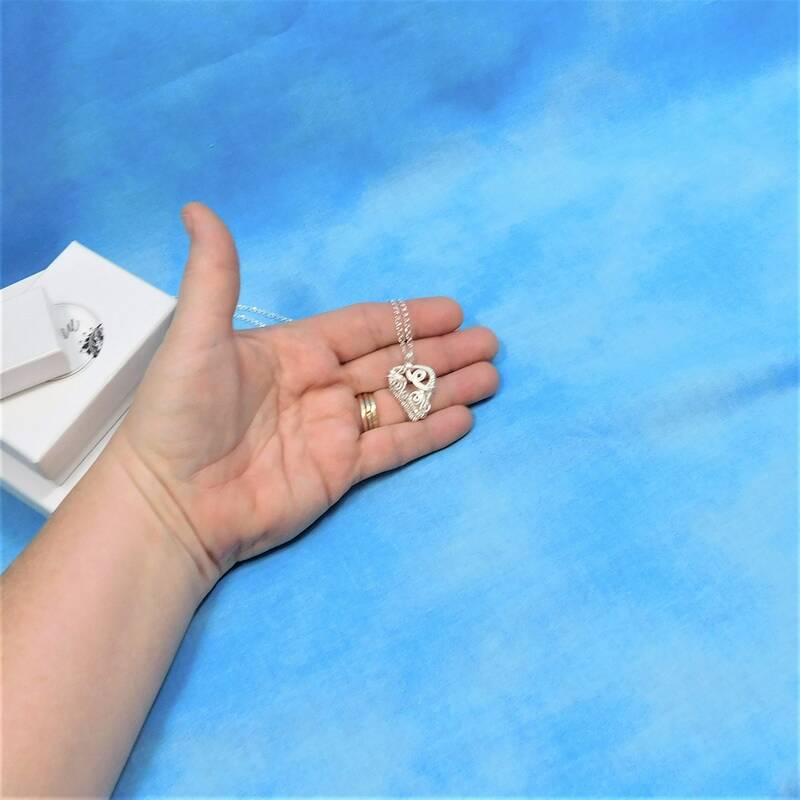 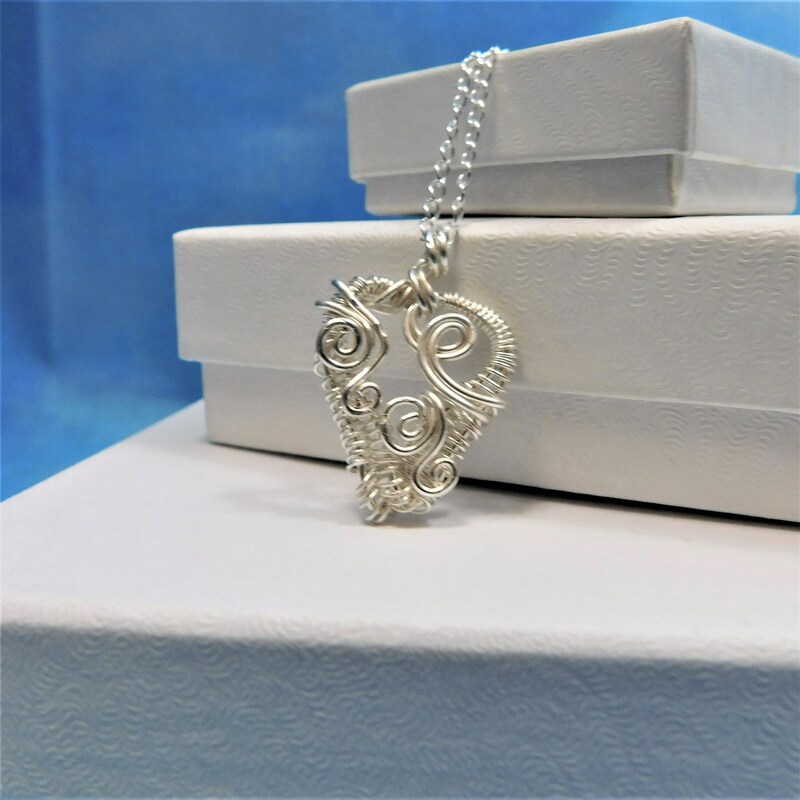 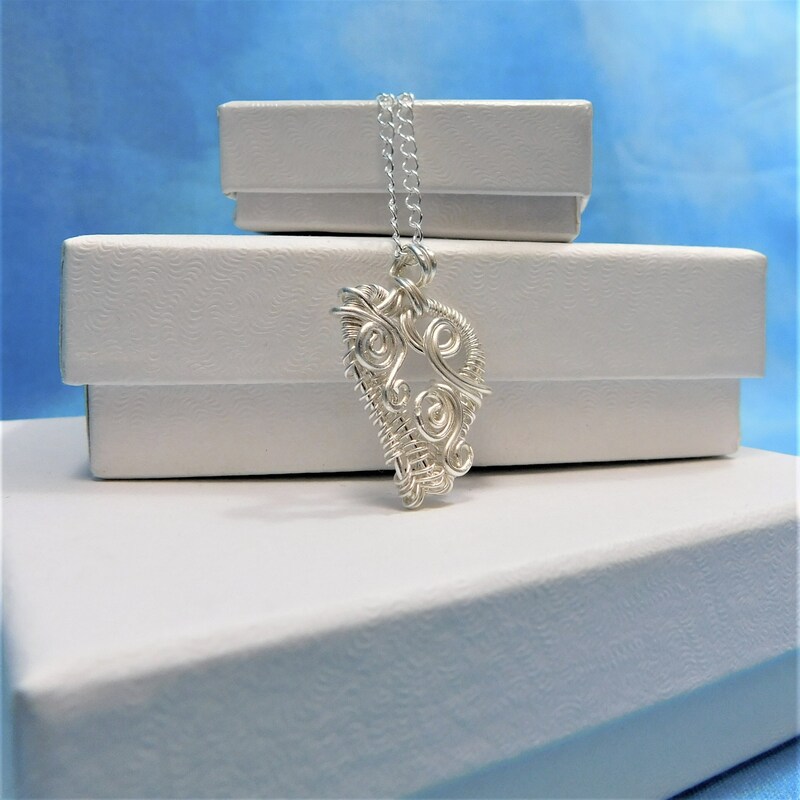 The pendant measures 1 inch by 3/4 inch and comes with a FREE light-weight, sterling silver chain with lobster claw clasp, measured to your preferred length.